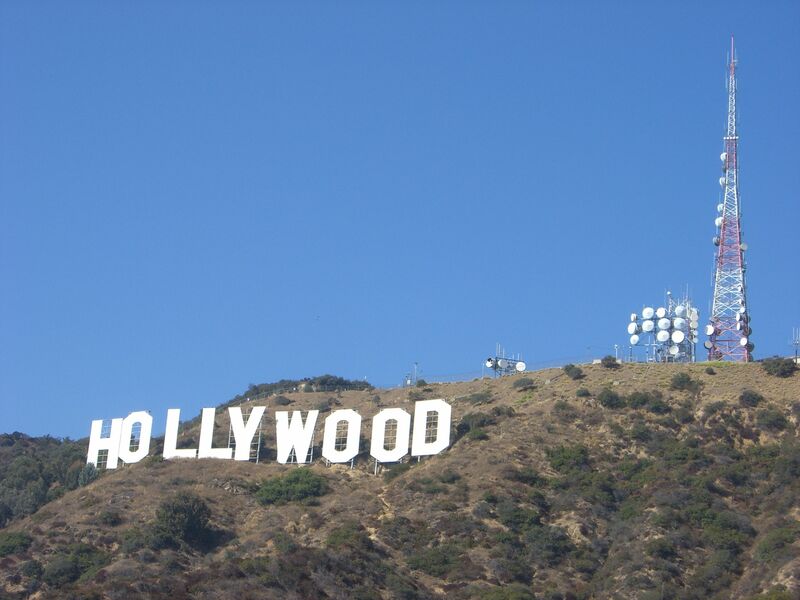 Leo Braudy is a USC professor and pop culture critic whose latest book, The Hollywood Sign (Yale University Press, 2011) is an everything-but-the-kitchen-sink look at Hollywood–the Sign, the place and the industry–as well as the culture at large. In attempting to cram huge swaths of Los Angeles’ history into 192 pages, Braudy turns his hummingbird-like attention to topics ranging from A (the Academy Awards) to Z (the Zoot Suit Riots), touching upon each so briefly that the result is less a book than a dizzying exercise in name-dropping. 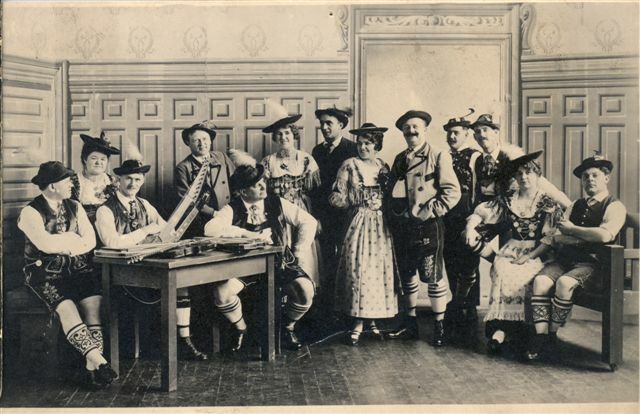 (The index lists 24 entries under “A” alone, including Fatty Arbuckle, Ansel Adams, Gene Autry and Angelyne.) For the reader, The Hollywood Sign is less exhaustive than exhausting: if you’ve ever wanted a book to unite Marcel Duchamp, “101 Dalmations” and Laura Ingalls Wilder, this one’s for you. 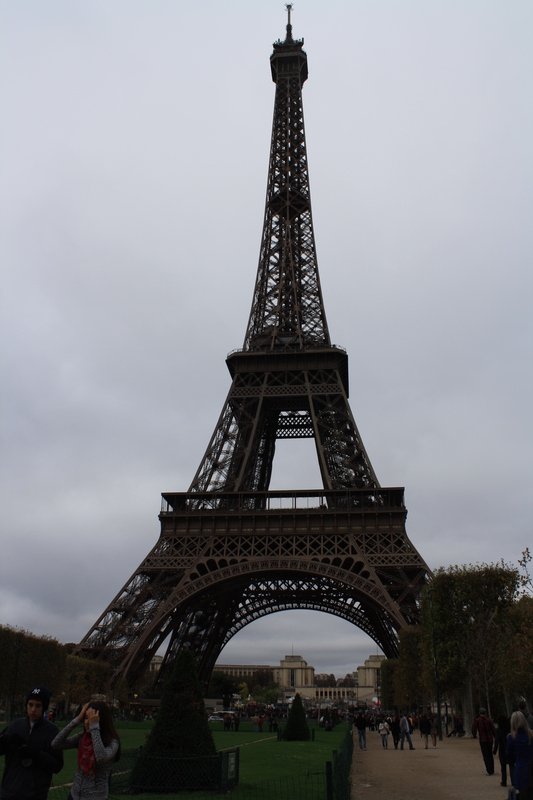 Its essence is almost entirely abstract, at once the quintessence and the mockery of the science of signs itself….It isn’t an image that looks like or refers to something called Hollywood; it is the name itself. Yet people everywhere recognize it as the symbol of whatever “Hollywood” might be–with whatever ambiguity is part of that meaning. Seeing the sign lets you know you are in Hollywood, that special place. Photographing it enhances your own sense of identity….Instead of looking at the Liberty Bell or the Lincoln Memorial and appreciating their importance and the history they represent, we look at the Hollywood Sign and it looks back at us, enlarging our sense of our prestige by its symbolic aura. 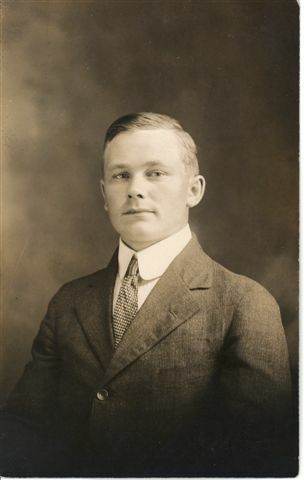 More serious are the mistakes he makes about Albert Kothe, the Sign’s caretaker, and Peg Entwistle, the Sign’s only suicide. In repeating the fiction that Kothe “lived in a shack behind the first ‘L’,” Braudy concocts a full-fledged conspiracy theory about Peg’s death. And where, while [her jump from the Sign] was going on, was Albert Kothe…..Could Peg Entwistle have been killed elsewhere and the scene at the sign staged? This astonishing question comes on the heels of Braudy’s assertion that Peg couldn’t have climbed to the Sign due to its distance from her house (which he puts at “three or four miles,” though the route she took was closer to two) and steepness, her lack of athletic clothing and, most bizarrely, her “trudging her way on foot in an area designed only for cars.”* Yet Braudy apparently thinks it’s possible that someone (who?) killed Peg (why?) and transported her body (how?) up to the Hollywoodland Sign, steep grade and lack of running shoes notwithstanding. The murder theory is ludicrous; beyond that, it is hurtful to Peg Entwistle’s surviving family. But it probably will be treated as fact, thanks to Braudy’s reputation and the power of the Internet. It’s discouraging that despite my efforts and those of James Zeruk, Jr. (whose biography on Peg is nearing publication), the lies about Peg Entwistle keep coming. Disclosure: I briefly met Leo Braudy at a reading soon after the publication of his book. When I asked if he had heard of me or my documentary, “Under the Hollywood Sign,” he said no. In light of the above, I believe him. *Beyond the fact that Peg Entwistle was an athletic 24-year-old, it should be remembered that most Americans in 1932 routinely walked long distances in regular shoes. 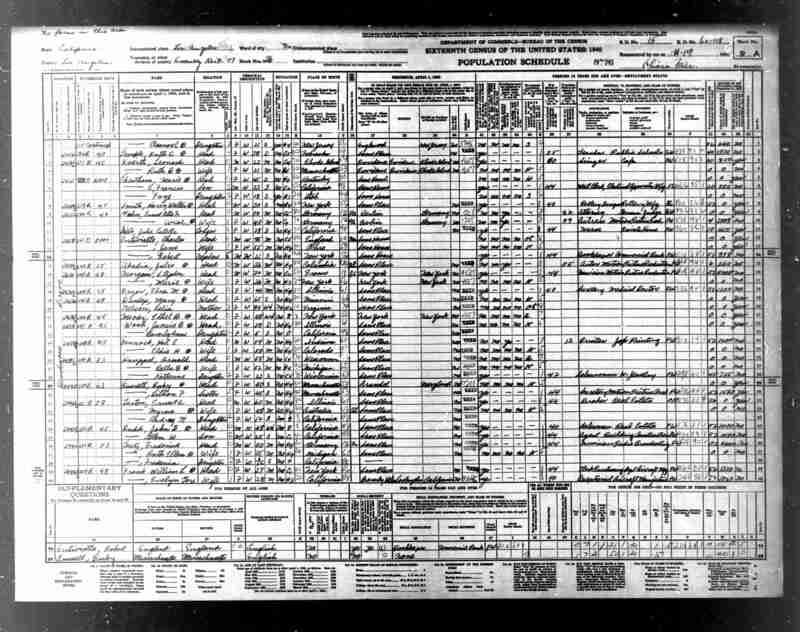 Albert Kothe no doubt left Hamburg for economic reasons, as jobs were in short supply in Germany’s ruined post-WWI economy. 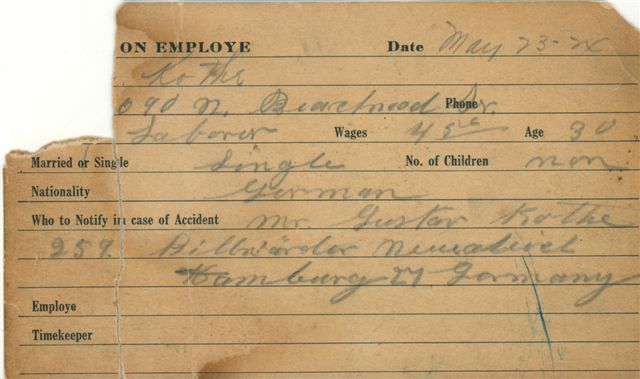 He seems to have earned his passage to America as a merchant marine, judging from a shipboard photo. 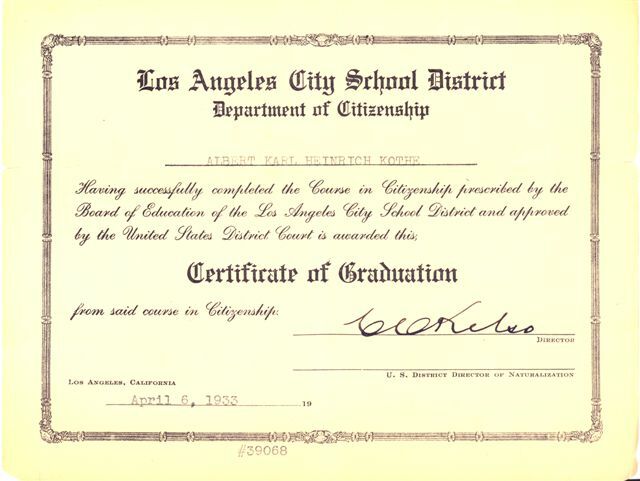 How Kothe wound up in Los Angeles is unclear, but he quickly made it his home: among the artifacts found after his death was this certificate for a citizenship course, dated 1933. His photos tell the story of a bachelor existence enlivened by female friends, letters and postcards from home, his dogs and–most of all–cars. Kothe seems especially proud of this car, judging from the number of photos in which he appears beside it. 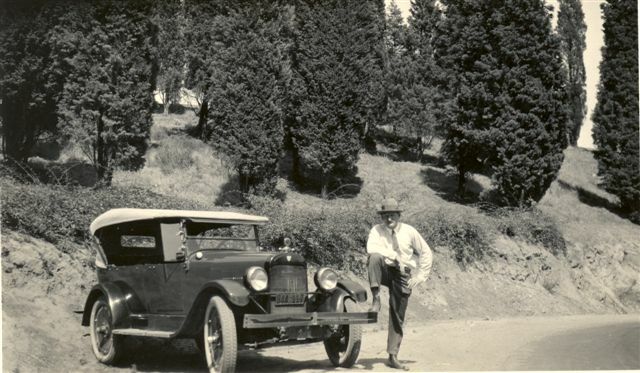 Ironically, in light of his penchant for drinking and driving, Kothe went on to drive the Hollywoodland jitney, a job he apparently relished. 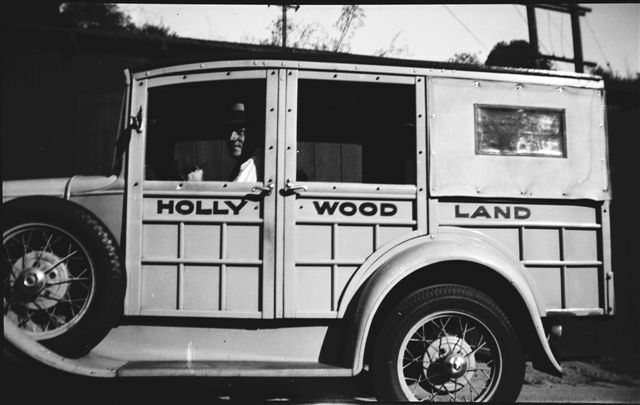 The last incarnation of Hollywoodland’s neighborhood bus, Kothe’s woody wagon carried residents from the bus stop in Beachwood Village to their hillside homes. Service ended sometime in the 1950s, probably because most families had two cars by then. 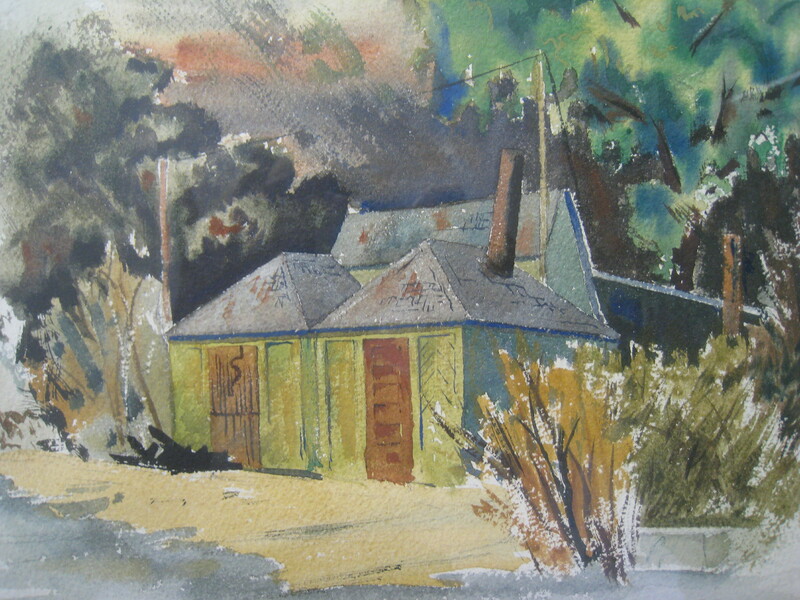 In the early 1960s Kothe moved from his cabin to Beachwood Village, where he lived in an apartment owned by the Williams family. A neighborhood fixture, he enjoyed a certain fame, both local and national, for having changed the lightbulbs on the Hollywood Sign. 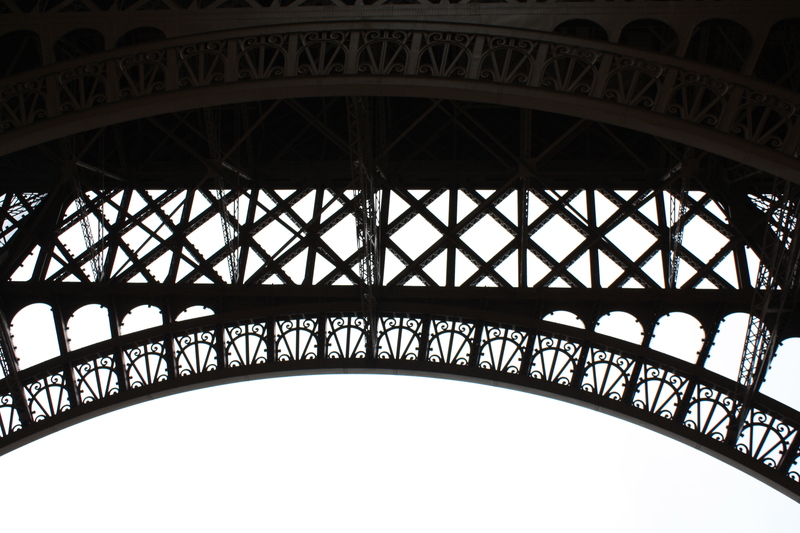 He died in 1974, at the age of 81, having lived in the Sign’s shadow for more than half a century. Albert Hendrick Kothe was born in Hamburg, Germany in 1893. 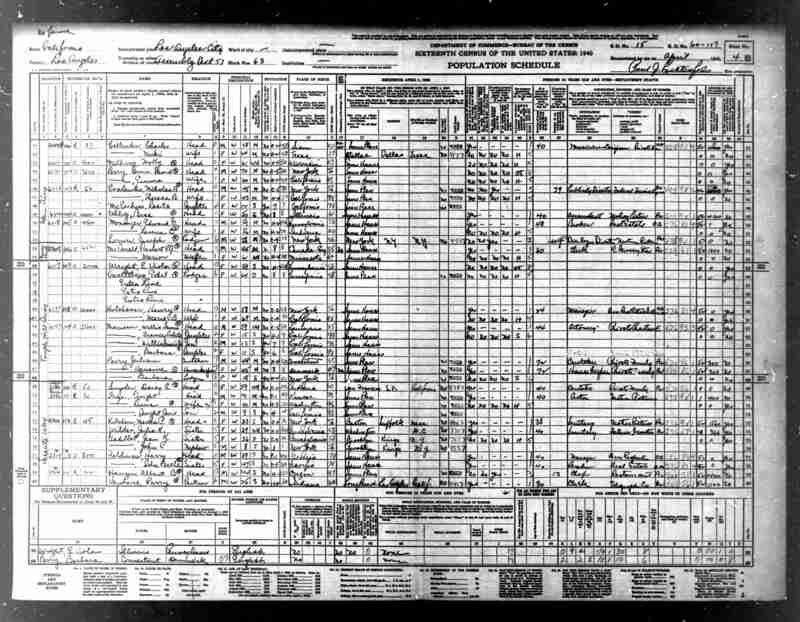 After World War I, he made his way to America and settled in Los Angeles, where he found work and a new home in Hollywoodland. 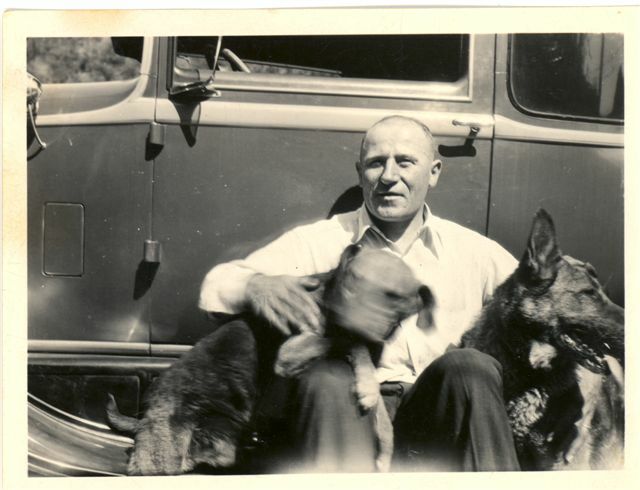 Like so many Canyon residents, Kothe lived out his life here, in the process becoming a neighborhood fixture, a Zelig-like figure–and something of a local legend. 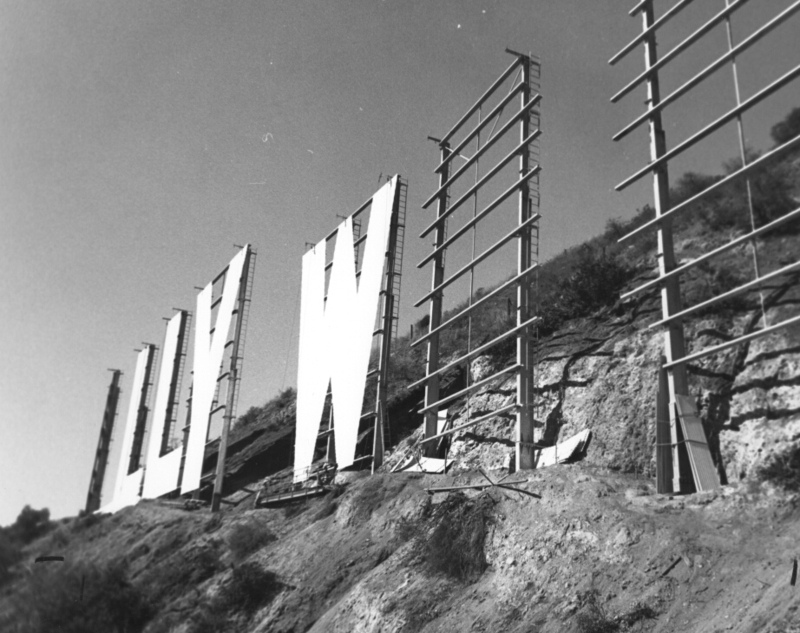 When the Hollywoodland Realty Company stopped maintaining the Sign in 1939, Kothe found work at Wolf’s Lair, a house large enough to require a full-time handyman. Kothe’s employment by Bud Wolf has satisfying parallels in literature and movies, for the two men at first glance were polar opposites: Wolf a rich, companionable bon vivant; Kothe a poor laborer and lifelong bachelor. But in truth, they were flip sides of the same coin–uncompromising, somewhat eccentric men who discovered their niche in Hollywoodland, and stayed. Next time: Kothe’s latter years–and automotive adventures. 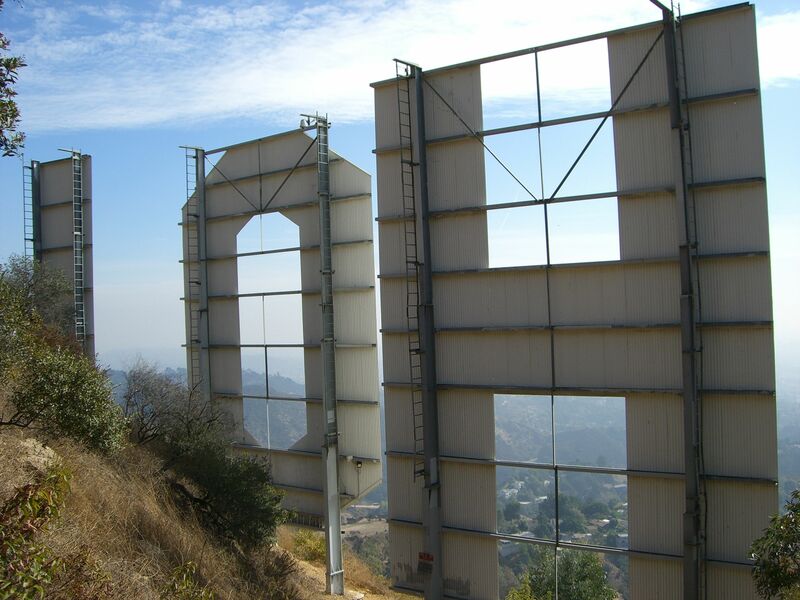 One of the perennial questions about the Hollywood Sign is why it isn’t lit at night. The answer is that the Sign overlooks a residential neighborhood whose access narrows from a two-lane road to a steep, winding single lane as one nears the Sign. If the Hollywood Sign became a nighttime beacon, traffic in the Canyon would quickly reach gridlock. That’s precisely what happened on New Year’s Eve of 1999, when the Hollywood Sign was rigged for a Millennial light and fireworks show. People came up Beachwood Drive by the thousands, effectively trapping everyone in the Canyon and preventing emergency vehicles from entering. It had a lasting effect on residents, some of whom still shudder at the memory. In the Sign’s original incarnation as a billboard, it was lit, the better to impress prospective property owners. It flashed in segments, first Holly, then wood, then land, before lighting up completely. 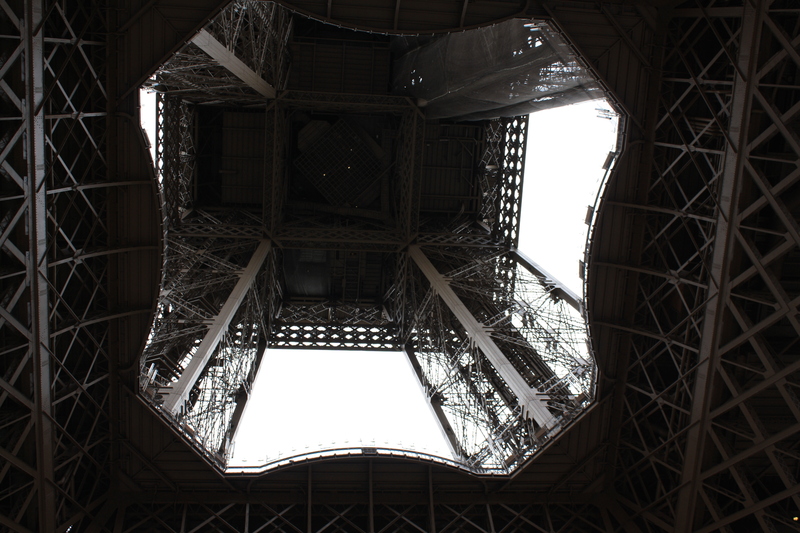 A searchlight below it lit up for emphasis, like an exclamation point. 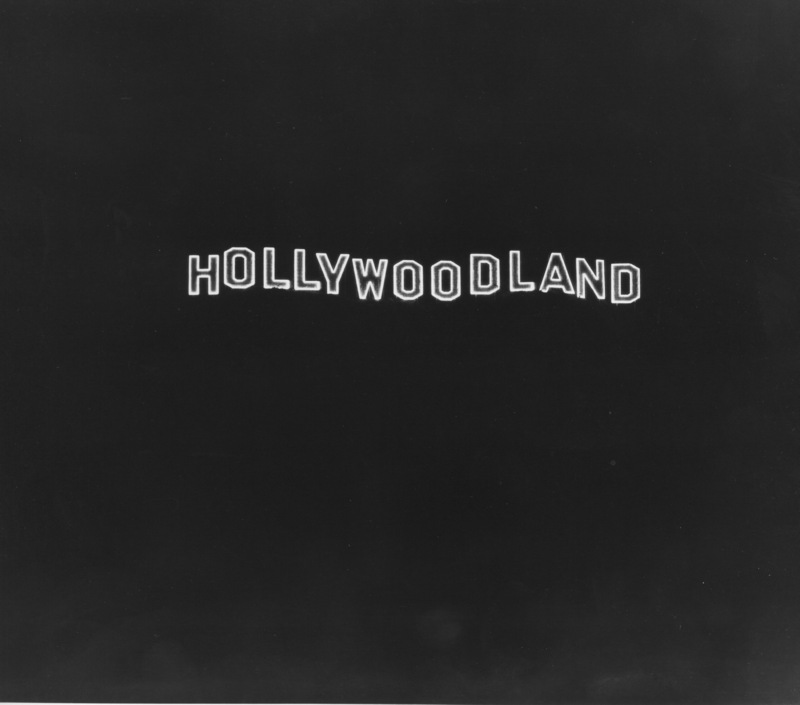 Hollywoodland! 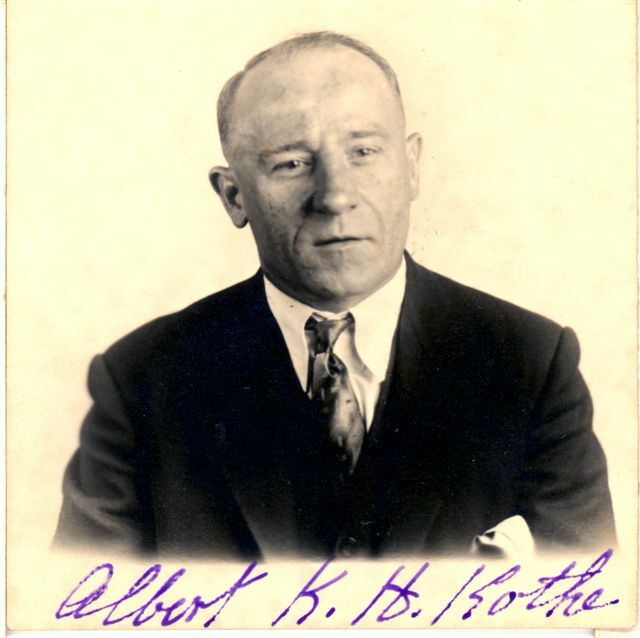 It must have been wonderful–and to Albert Kothe, the man whose job it was to change the lightbulbs, a grim reminder of his day job. More on Kothe, a true Hollywoodland character, in a future post. 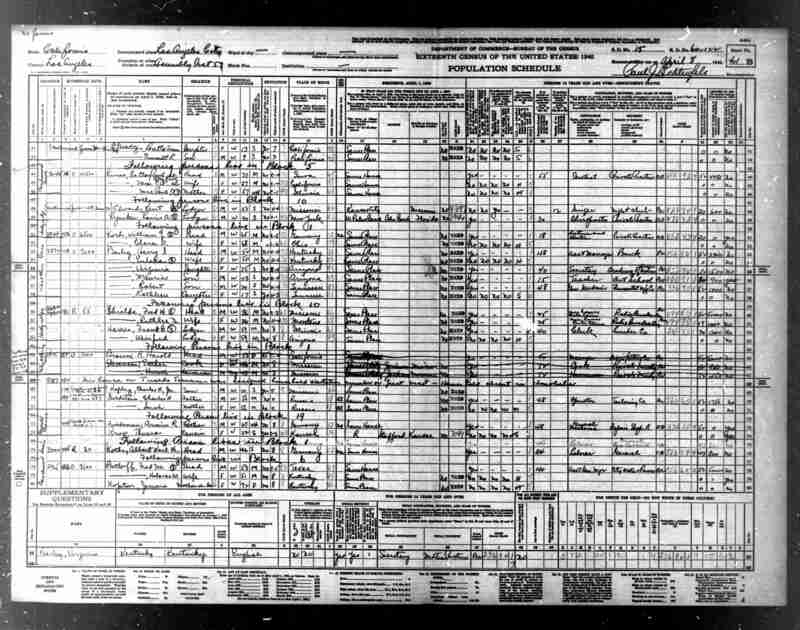 You are currently browsing entries tagged with Albert Kothe at Under the Hollywood Sign.